Course Management System (CMS) or in general, Learning Management System (LMS) is one of the web applications used by the university for the administration, documentation, tracking, reporting and delivery of e-learning education. Students are facilitated to refer e-resources relevant to their academic activities and also they can submit their assignments to the relevant courses online using the CMS. UWU Web Mail System (WMS) is the e-Mail system used to provide the e-communication facility. In order to get this facility you must have a valid authentication issued by the administrator. All Sri Lankan Universities and other Higher Education Institutes under the Higher Education Ministry are linked by a Cloud Based Management Information System (CBMIS). All the academics who are engaging in postgraduate studies and the students doing their final year research project should use the given format for the progress reports submitted to the university. Click here to download the document. 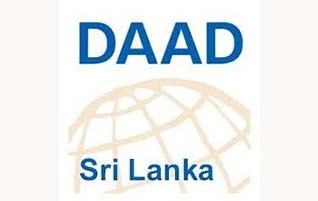 To further strengthen cooperation on scientific and academic research between Germany and Sri Lanka, the DAAD and the NSF have launched a new Joint Mobility Program for Project-Related Personal Exchange. Based on an MoU signed earlier this year, the purpose of this new Joint Mobility Program is to promote bilateral scientific cooperation in both countries by creating sustained networks between various Sri Lankan and German teams formed through individual research exchanges. Both parties provide financial support for exchange of researchers (short and long-term visits) from higher education or research institutions of both countries and will cover travel and living costs for their own research teams during their stay abroad. The program is open to all disciplines. UWU researchers are encouraged to establish collaborative research partnerships with their German counterparts. Copyright 2019, Uva Wellassa University.